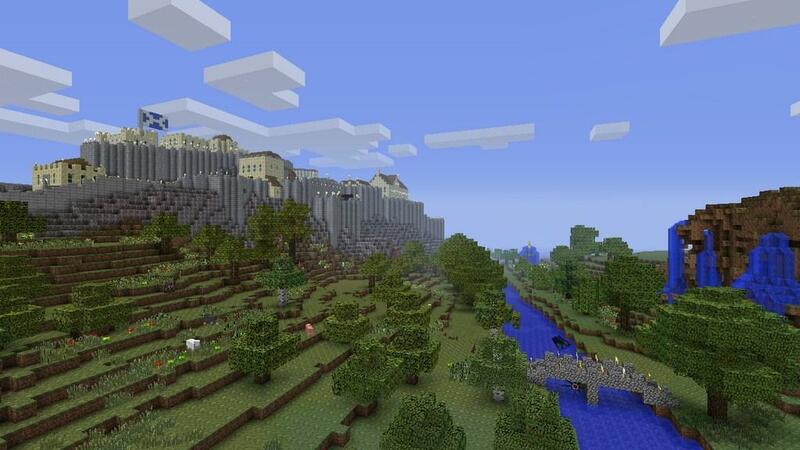 Microsoft announced yesterday that they purchased Mojang for $2.5 billion dollars. That's more money than Facebook paid for Oculus Rift, and more than half of what Disney paid for LucasArts. That seems like a ridiculous amount of money, until you consider that Minecraft is one of the top three gaming IPs right now, and possibly the number one IP for those under the age of 26. At the top of the hierarchy you've got Mario. Then a big drop off to either Mincecraft or Angry Birds, depending on how you view mobile games. Personally, I put Minecraft ahead of Angry Birds as it is available on more platforms and is open ended. The real question now is what will they do with the property. And let's be honest, Microsoft doesn't have the best reputation when it comes to companies they acquire. One just has to look at the creative husk of Rare [makers of Donkey Kong Country, Killer Instinct, GoldenEye 007] to see that Microsoft is a bit clumsy with their acquisitions. So what should Microsoft do? I hope they treat Minecraft like they treat Microsoft Office. Why Office? Well, it's because Microsoft has done some great things by making Office available on every platform around, rather than just limiting it to Windows PCs. You can now get access to parts of Microsoft on every major platform, from MacOS to Android. I know that's an odd thing to say, but Microsoft shouldn't do anything other than give Mojang the money and technical infrastructure they need to keep enhancing the game on as many platforms as possible. Minecraft is more of a platform for creativity than a game, and burdening it by limiting it to a single set of platforms would be exceedingly shortsighted. There's a big temptation to make the game an exclusive to Microsoft platforms, but that's not why you spend $2.5 billion. That reason is so that you now own the best modern gaming intellectual properties and can use that to make back all of your money. This is also a golden opportunity for Microsoft to earn some of its cred within the gaming community. Microsoft should continue development for the game on the PlayStation 4 and even create a Wii U version. Mojang already knows how to get the game running on a tablet, and think of all of the additional copies you would sell on those other platforms. There's no real reason for Microsoft to close the door on any of these platforms—and doing so would be a huge disaster in terms of revenue and credibility. If Microsoft really wants to win gamers over, they would give Mojang the keys to their Azure cloud storage system and allow content creators to share worlds between versions of the game. You could even charge a reasonable subscription fee for this kind of thing, but only after giving people a few months of free service to try it out and work out all of the kinks. Price is the only place where I think Microsoft could actually do something platform-specific. Discounting the price of Minecraft on Microsoft platforms would make a lot of sense. You could even justify giving away the game for free to Xbox One members with Xbox Live Gold subscriptions, if their content could be accessed on other devices. If Microsoft really wants to go nuts, they could allow everyone to explore worlds created in Minecraft for free, but then have customers pay if they wanted to create their own worlds. I'm always a bit of an optimist when it comes to things, but I'm hoping that Microsoft does something good with the Minecraft IP and don't turn it into a platform exclusive. By treating the game like a platform, I think Microsoft could quickly recoup their money and possibly even make some amends to the gaming community at large.